WEST PALM BEACH, Fla. – Superheroes ranging from as young as three months to mature adults are set to rally, celebrate and ‘battle’ on Saturday, Oct. 7 in a show of ongoing strength, support and commitment to the fight against cancer. 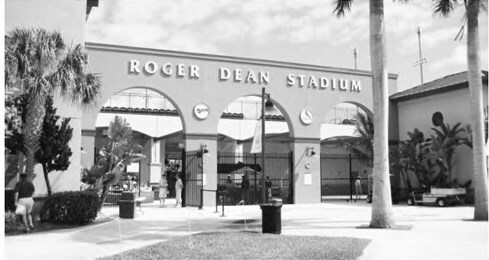 The “3rd Annual Stronger Than Cancer Young Hero 5K Run” will begin 7:30 a.m. at Roger Dean Stadium, in Abacoa, Jupiter. It is planned to wind through beautiful, downtown Abacoa, and end at the stadium. Hosted by Pediatric Oncology Support Team, (POST), the run/walk is expected to draw more than 1,000 participants. Barbara Abernathy, a cancer survivor who founded POST, said this year’s event is seeing a marked growth in participation dollars raised, with a goal to raise $75,000. The average age a child is diagnosed with cancer is six-years-old. In six months, POST will mark 20 years of service to the community. To date, the organization has helped 2,000 area children and teens. All services provided to children and families are free of charge. Following arrival at the finish line at the stadium, participants of all ages can enjoy fun activities – each set around the “superhero” theme. Those planned include: A “Kidz Fun Zone” with games and a waterslide; making videos with words of encouragement to the brave fighters in a “Courage Cam Tent;” boxing in gloves to `Fight Cancer Like a Kid’ and more. Refreshments will be provided to all in attendance and prizes awarded in the form of a distinctive finisher’s medallion. Other prizes will recognize the Best Fundraising Team, Best Team Name, Best Superhero Costume and Best Pet Costume. Abernathy said the event fosters the intergenerational aspects of families stricken with childhood cancer. Abernathy said she is connected and committed to the fight due to a lifetime of living with cancer from family members diagnosed to her own battle. “The kids inspire me and keep me going,” she said. Pediatric Oncology Support Team (POST) is located at 5325 Greenwood Ave., #301, in West Palm Beach. To learn more about POST or make a donation, call 561-882-6336 or visit www.postfl.org and www.facebook.com/post.fl.